The Mystery of Meerkat Hill (Precious Ramotswe Mystery Book 1) - Kindle edition by Alexander McCall Smith, Iain McIntosh. Children Kindle eBooks @ Amazon.com. Precious wants to be a detective when she grows up. She is always practicing at being a detective by asking questions and finding out about other people’s lives. There are two new students in her class, a girl called Teb and a boy called Pontsho. She learns that they are brother and sister, and—even more exciting—that Pontsho has a clever pet meerkat named Kosi. One day, Teb and Pontsho’s family’s cow disappears. Precious helps them look for clues to find the cow. But getting the cow back home will require some quick thinking and help from an unexpected source. I love the No. 1 Ladies' Detective Agency books and read the first book about Precious as a child in both English and Scots dialect. This second book about Precious' childhood is even better. In this one Precious makes two friends and solves another mystery. Life is simple and beautiful when you do not have so many possessions to worry about, but some things such as a lost cow can mean disaster for a family that hasn't much to begin with. Reading this book makes you feel so good. The stories are interesting and the author's writing of them is lovely. At the end of the book there are teachers' directions for use of the book in school settings. HIGHLY RECOMMENDED! 5.0 out of 5 starsAn educational and excellent read! This book tells an interesting story, one that will intrigue any young reader. As if that weren't enough, at the end of the book there are questions for discussion and lessons on geography and on the customs of Botswana. A teacher could glean weeks of subject matter to use in classroom projects and discussions. 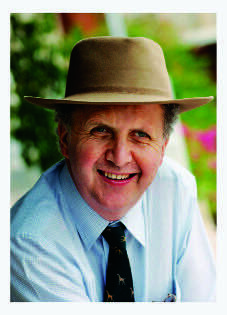 I cannot wait for Alexander McCall Smith's next novel for the young readers. I love sharing them with my grandchildren! 5.0 out of 5 starsGreat true to life story! This is a great addition to the growing library of our grandchildren. Since their Dad grew up just miles from where this story takes place and visited the school which is now a museum. It comes even more alive in their household. We hope that McCall Smith will continue this series to go along with the ones of the grown up Precious Romotswe. I loved all the No. 1 Ladies Detective series and ran out of them, so tried a few of his other series. They are all good, but none equaled the Botswana series, so I found these children's books about Precious Romatswe as a child. Charming! I read this one through in a sitting and then read it to my grandson. He says, "I love it!" with great enthusiasm. He listened through all 8 chapters in a sitting too. I can't wait to read him the next one. 5.0 out of 5 starsWhere has the family's only cow gone? Precious will find a way to help! A missing cow, a pet meerkat, and Precious Ramotswe: thrown together in a light-hearted mystery set in Botswana. Precious' delightful nature and intelligence at solving mysteries make this a great read or read-aloud. My first graders give it two thumbs up! 4.0 out of 5 starsGreat read to start youngsters in the direction of the Number 1 Lady Detective series. For those of us that followed Precious through her adult detective life, it was a refreshing read to see her as a youngster. It is a fun book to start young readers in the direction of her later Number 1 Lady Detective series escapades. What I really like is the morality expressed in all of Alexander McCall Smith's books with Precious Ramotswe. She is kind, always tries to do the right thing, and uses her natural intelligence to help others. 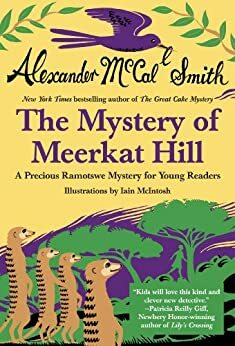 I have loved Alexander McCall Smith's Ramotswe series for decades and was very interested to see what he would do with a children's book. I would not say that they are as good as the adult stories but I can imagine that children will be quite taken with them and introduced to a totally different part of the world, a place Mr. Smith clearly loves. Having read all of the #1 Ladies Detective series, I was thrilled to see these stories of when the famous lady detective was a youth, written for young readers. I read them to my 9 year old as bedtime stories and we enjoyed them all. Waiting for the next chapter in this series!